Need a sturdy angle gearbox to handle power transmission for your next big project? Why not harvest a rear axle from a car and make one yourself? When you think about it, the axle of a rear-wheel drive vehicle is really just a couple of 90° gearboxes linked together internally, and a pretty sturdy assembly that’s readily available for free or on the cheap. [Donn DIY]’s need for a gearbox to run a mower lead him to a boneyard for the raw material. The video below shows some truly impressive work with that indispensable tool of hardware hackers, the angle grinder. Not only does he amputate one of the half axles with it, he actually creates almost perfect splines on the remaining shortened shaft. Such work is usually done on a milling machine with a dividing head and an end mill, but [DonnDIY]’s junkyard approach worked great. Just goes to show how much you can accomplish with what you’ve got when you have no choice. We’re surprised to not see any of [DonnDIY]’s projects featured here before, as he seems to have quite a body of hacks built up. We hope to feature some more of his stuff soon, but in the meantime, you can always check out some of the perils and pitfalls of automotive differentials. Someone’s been perusing their YouTube suggestions. Grinding with a cut-off wheel makes me nervous. He should be using a 180 degree guard for his cut-off wheels, too. As much as I love angle grinders, shrapnel from shattered cut-off wheels is unforgiving to people, even with a fair amount of safety gear. Otherwise, I like to see this kind of hacking… especially how he added the splines. I’ll have to keep that idea in the back of my head. You can clearly see the 180degree guard on his angle grinder…lol, you may have missed it because it is set to the bottom orientation of the grinder (where it’s suppose to be to protect you…also holding from the bottom orientation)….lol…he even reorients it to the side which is the top when working over it. Do you need glasses? I appreciate your concern for my vision, but I don’t need glasses…lol…It’s clear you don’t know angle grinders that well so I’m concerned for *your* vision. 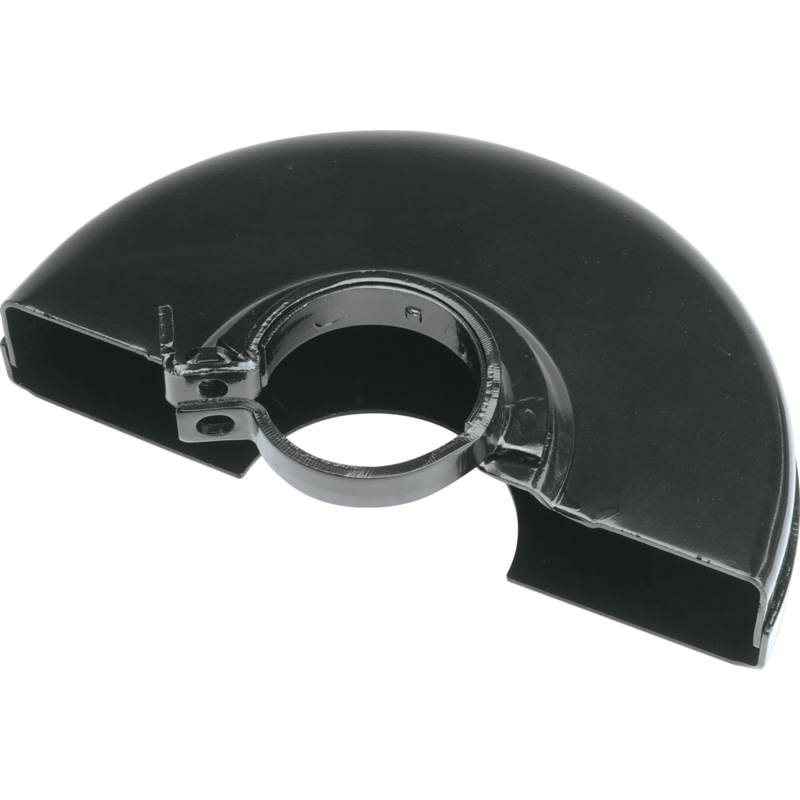 The proper guard for cut-off wheels are fully enclosed on 180 degrees of the guard. In other words, he’s using a grinding guard for cutting. Thanks for bickering guys. Now I know what the proper guard is for a cut-off wheel. Safety is important. Glad a couple jerks on teh Intarwebs could help! I have to say that cut off wheels are fairly forgiving… as long as you wear safety glasses nothing very serious can happen. On multiple occasions a fractured cutoff wheel has propelled itself towards my bare skin, and I have come away with little more than a scratch. Perhaps this is a superpower. But I think that is not the case. Um… A little searching will show you that you have been quite lucky. The shards from cutoff and grinding wheels can do serious damage, including kill. Not common, but, as Daffy Duck said, you can only do it once. One of my colleges had a cut off wheel shatter and hit him right in the palm where the thumb hits the hand. It was clearly “more than a scratch”. I think it hit some tendons and he lost some movement for quite a while. Than incident made me rethink how I handle angle grinders! I’ve gotten scratches from shattered Dremel cut-off discs that made me bleed my own blood. Legit angle grinders will mess you up and keep on spinning whIle they laugh at your misfortune. I even play it safe with 3″ pneumatic cut-off tools. I have a 7″ angle grinder I’m too scared to use with cut-off discs. My father-in-law has a 9″ angle grinder he should be scared to use because he’s like a bull in a china shop when it comes to most things. Shock horror – shock horror … where is the reflective vest ? ? ? If it makes you nervous don’t do it. this guys is an artist with the right angle grinder… to question his brush stroke is to question his art. if you don’t like it, just walk to the next painting please. I wonder why he recreated the splines instead of chopping the shaft off and re-welded it. More strength? Impressive on the splines if they hold up, the original ends were probably hardened. $129 gets you a rotary mower gearbox off Surplus Center tho. yeah, but where’s the fun in that? That’s awfully expensive if you already have the parts laying around, besides HaD has been clear, many of the hacks are simply because they can. While you can usually solve any problem with enough money that’s not the spirit of HaD as far as I can tell it’s more about celebrating creativity, ingenuity and resourcefulness. Hey $129 buys a lot of beer. I’ve seen car differentials used as sturdy tower rotator gearboxes for years. Good use. and he used it for a brush chopper. Just a reminder that grounding on that filler screw will (likely) result in the threads being welded. You’ll end up with a stripped out hole IF you ever need to remove the plug. Another thing is don’t connect where the current path is through a bearing. You need to always look at the circuit path and think if it could fuse anything together, that should not be. The bearings will be arced between the rollers and races. So you now have tiny burns/oxidation chunks that are some very hard grit, grinding around in the bearing. Plus the pitting from where the metal is arced then gets pulled out leads to bouncing of the rollers and sort of hammers them to a an earlier failure. Lastly, also don’t let the current pass through the gears. Same problem with arcing and damage to the teeth. Also can cause a real pain with gears that need to slide on a shaft, if it arcs at the bore to shaft area. Those really are some amazing angle grinder skills. This guy is an artist with an angle grinder. Vittorio Loschiavo has updated components for the project titled SnowPlow Robot.